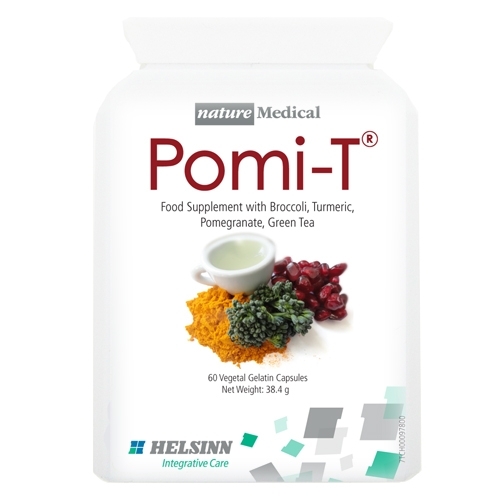 Pomi-T® contains a unique blend of herbs, spices, vegetables and fruits squeezed into a vegetarian capsule for a convenient way to boost your daily intake of natural plant polyphenols. When you order Pomi-T®, delivery is to UK and Ireland. 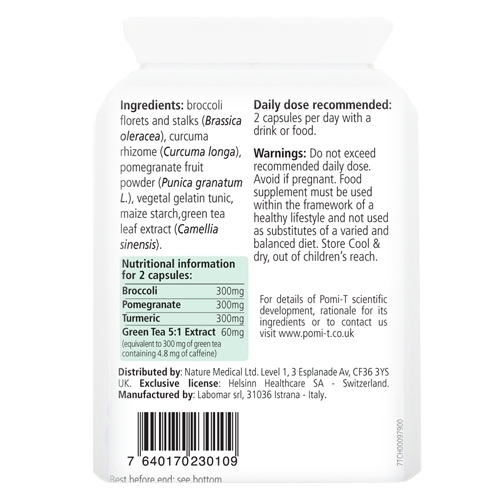 Use the + symbol below to select your desired quantity then click ‘Add To Basket’.